Hiking, picnicking and spending time in nature are great social activities for enjoying the outdoors, and not just for Scouts. Proximity to green spaces is widely considered to have a positive impact on human health, and recent studies espouse the benefits of spending time outdoors. While nature offers many perks for our enjoyment and wellness, steer clear of these Top 6 Plants to Avoid on the trail as they grow innocuously throughout Canada. 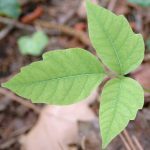 Contact with poison ivy, poison oak, or poison sumac can cause dermatitis—itching, redness, swelling, rashes, and other skin irritations—and blistering of the skin. Probably the most well-known among harmful plants, poison ivy can be found throughout every province except Newfoundland. With clusters of three somewhat jagged leaves, the middle leaf has a slightly longer stalk than the other two outer leaves. Its leaves appear reddish during the spring but change to green in the summer, which can make it harder to spot. Poison oak, which is mostly contained to western Canada, is commonly found in southern British Columbia and causes similar effects to poison ivy. The surface oil found on poison oak exists not only on its leaves, but also along its branches and twigs. Poison oak has multi-lobed leaves. Poison Sumac, which is found mainly in south-eastern Canada, is considered more toxic than poison ivy or oak. It grows in a shrub or vine in wet soils like swamps and has 7-15 leaflets, but never only three. 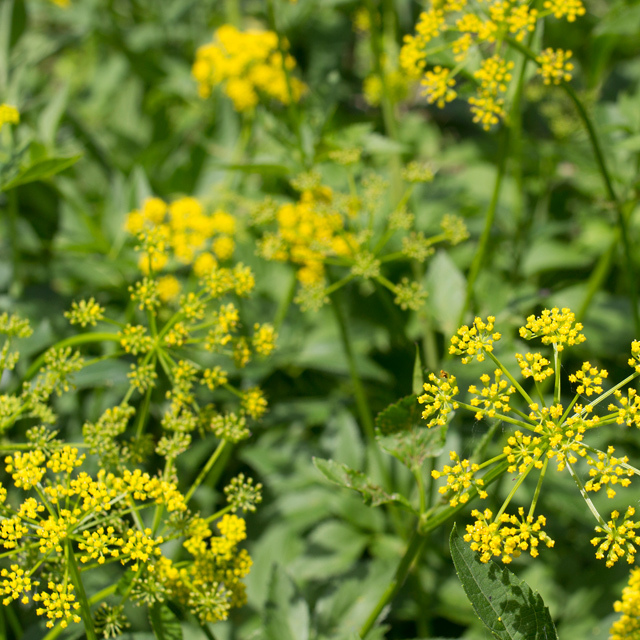 Wild parsnip is a common plant which can be found in all provinces and territories except for Nunavut. 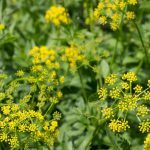 It is visually similar to Queen Anne’s Lace, except it has yellow flowers, and can grow up to 1.5 meters in height. Its sap, found on its leaves and shoots, is toxic and can cause a reaction similar to poison ivy, with associated discolouration lasting up to two years. Cow parsnip, quite similar in appearance and growing in the same regions as wild parsnip, can grow to about 2.5 meters. Giant hogweed can be found in British Columbia, Ontario, Quebec, New Brunswick, Nova Scotia, and Newfoundland and Labrador, although it may be spreading to Alberta and Saskatchewan. 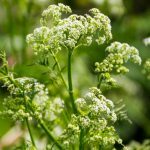 Like wild parsnip and cow parsnip, giant hogweed looks similar to Queen Anne’s Lace, however, it can grow up to 5.5 metres in height with a flower-head about a meter wide. Its sap, which can be encountered in its leaves, roots, stems, flowers, and seeds, can cause dermatitis and blistering and is phototoxic, causing severe burns if exposed skin comes into contact with sunlight. The effects of its sap, which are considered the most serious of the three, can lead to hospitalization and long lasting black or purplish scars. If exposure to any of these 3 plants occurs, wash the area with soap and water, and protect affected areas from the sun for several days to avoid the formation of serious dermatitis. 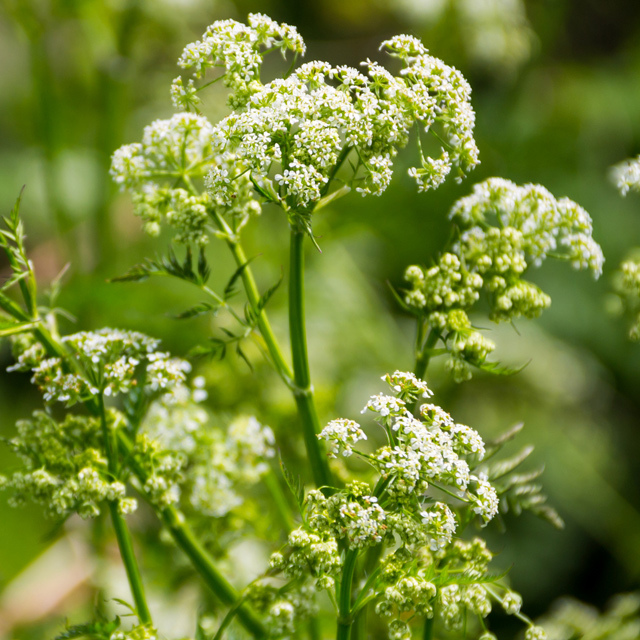 Water hemlock, another plant similar to Queen Anne’s Lace in appearance, is considered one of North America’s most toxic plants and is a native perennial found across most of the country. It is most often found in wet soils and marshes. While external exposure to the sap is harmful, ingestion can lead to respiratory distress, seizures, coma or even death. 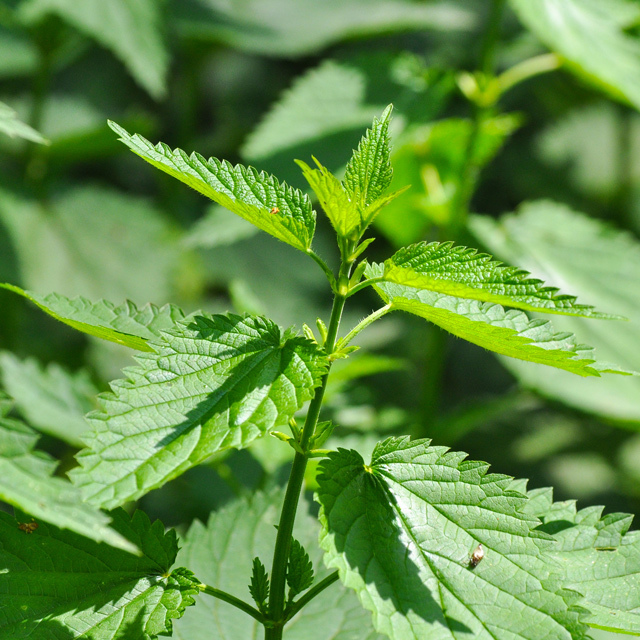 Stinging nettle is found across Canada, with subspecies also found throughout the Maritimes. Hairs found on its stem, leaves and flower produce painful stings when they break after coming into contact with skin. Reddish swelling and prolonged itchiness or numbness are common effects. Although these reactions tend to last only a few minutes, prolonged or repeated contact can cause this pain to intensify and last for several days. Native to North America and commonly found from southeast Manitoba through to Nova Scotia, bloodroot has delicate white flowers with a yellow centre, resembling water lilies. It is commonly found in moist woodland soil, or near steams. 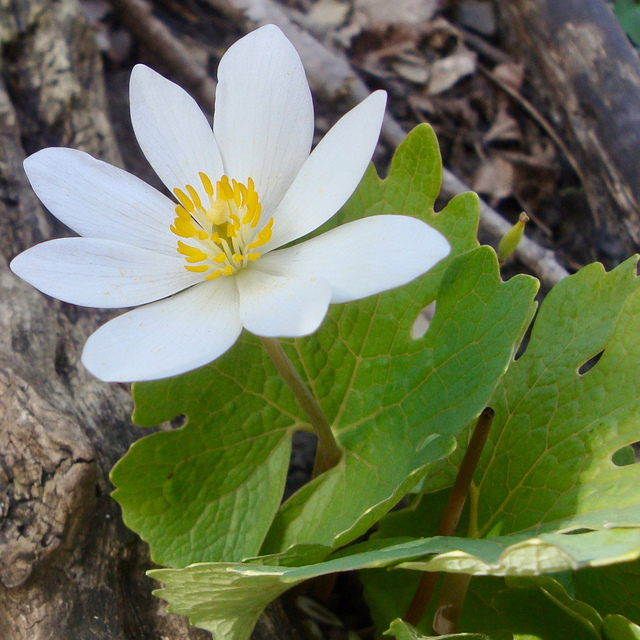 Bloodroot has medicinal uses, but the sanguinarine found in the plant can also cause irritation if applied to bare skin, and in high doses can be more damaging. 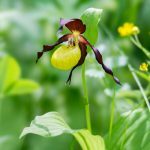 Yellow lady’s slipper is found throughout Canada. Its sap, which coats its leaves and stem, causes a form of dermatitis which includes rashes, irritation and itchiness, and weeping blisters. While it is important to stick to groomed trails, wear protective clothing and be mindful of harmful plants while exploring nature, exposure is easy to treat should contact with these plants be made. A prompt, thorough washing of the afflicted area with soap and cold water can help minimize the effects any such contact may cause. Do not wash with hot water as it tends to open pores in the skin, allowing the plant oils to absorb more deeply into the skin. For extreme cases, seek medical attention. In addition to being mindful of avoiding the plants listed above while exploring the trail and adventuring in nature, it’s also important to avoid eating plants that you are unfamiliar with, as some are poisonous if ingested. Before hitting the trail and exploring the great outdoors, review the Top 6 Plants to Avoid and enjoy fun, safe Scouting adventures!